One morning, during the infamous 1976 heatwave in London, a retired Irish gentleman walks to the corner store for a paper and never returns. Upon hearing of his disappearance, the children gather in the family home to support their Mammy and try to figure out what has happened to their father. The three children each have problems of their own. The estranged sisters are barely on speaking terms, the brother’s marriage is on the brink of divorce, and all have secrets which are haunting them. As the family gathers, the story focuses mostly on the brokenness of their relationships, with a heavy dose of Catholic guilt thrown in. Digging for clues, even more secrets from the past are unearthed, but through it all, there is very little plot and seemingly very little concern for dear old Dad. His disappearance becomes rather secondary, serving only as the catalyst for the actors to gather on this “family drama” stage, during a time of crisis. It wasn’t a great novel, but I did enjoy it as a nice easy (beach) read and will definitely pick up another O’Farrell at some point in time. 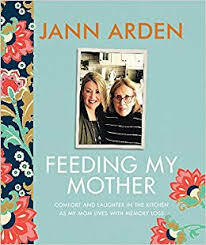 A friend recommended this author to me and I’m glad she did. This is O’Farrell’s most recent novel, she has many more earlier ones which some reviewers found to be better than this one. 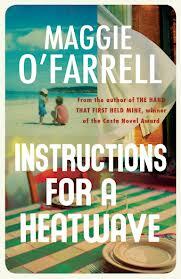 This entry was posted in Fiction and tagged Instructions for a Heatwave, Maggie O'Farrell. Bookmark the permalink.